Now available on the Minecraft Marketplace. Enter the sugary realm of the Candy Kingdom! Candy Kingdom is CubeCraft’s first creation for the Minecraft Marketplace. We’re excited to see all the sweet new adventures you have in this colourful Survival Spawn! Upon your arrival in Candy Kingdom, you will find yourself in a delicious gumdrop village filled with adventure. You’ll be supplied with some of the basic survival tools, along with access to basic farms. However don’t worry about food, in the land of the Candy Kingdom you are supplied with a bounty of cake... it’s everywhere! Venture where you wish. Discover the daunting cake mountain, made famous by the rumours of epic loot being hidden deep inside. Explore the delightful doughnuts and journey into the perilous mines, filled with monsters and precious loot. Do you dare enter? Or will you take a walk through the lollipop forest? After all that don’t forget to take the risky climb up the green ice cream, you might find it most rewarding. Are you brave enough to knock at the door of the corrupt Candy king? His castle is home to his army of Husks and even if you make it through them, you’ll have to face the terrifying Wither Skeletons! If you break free of the Candy King’s infamous rule, claim it to be your own. What will you do with this epic castle, will you turn it into your new epic base? Maybe expand the Kingdom to new lands, the possibilities are as endless as your imagination! Climb the spongy goodness of Cake Mountain and discover a real cherry on top! Race your friends to discover the rich topping. Lollipops are usually a feast for your tastebuds but this one is for your eyes. Have a peaceful stroll through the towering sugary treats or PvP with your friends under them. Another weird and wonderful forest of sweetie goodness this time featuring Chocolate Puddings. Use them for cover and take your enemies by surprise. This mine is full of treats, but this time not for you to eat! Here you'll find resources to progress through the game such as Iron, Gold and more! Home to the evil King of Candy Kingdom. Approach this area with care as it's rumoured to be protected by Husks and Wither Skeletons. A really sticky place to live. This is where you begin your adventure in Candy Kingdom. Make sure to have a good look around to find all the little treats. Here are a few teaser images. Feel free to explore! Xbox One and Nintendo Switch. 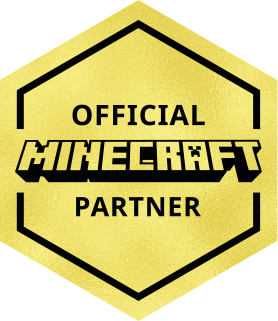 Founded in 2012, we're now one of the world's largest Minecraft Networks. Hosting fun and unique games like SkyWars, Tower Defence, Lucky Islands, MinerWare & EggWars!